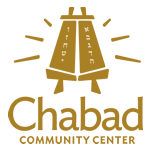 Chabad of Rockford delights in the birth of each baby in the greater Jewish community. We want to welcome each newborn and can facilitate, arrange, assist and familiarize the family with the entire process of a Baby Naming or Bris Ceremony to make it the experience and the joy it is meant to be. We can help make the occasion a memorable step forward for your son or daughter in living a meaningful Jewish life. Ages 12 through 120 - We will create the Bar or Bat Mitzvah you desire and choose, from a simple one with minimal preparation to the whole elaborate affair. Children with Special Needs You will be overjoyed with our approach and sensitivity to the specially geared program just for them. Mazal Tov! Congratulations on your engagement. We hope your happiness will continue to grow and that you will succeed in laying the foundations for a warm, loving and nurturing home. Rabbi and Miri are available for study and to officiate at your wedding. Should you have any queries, we will be pleased to assist. King Solomon said, "There is a time for all under the heavens - a time to love, a time to journey, a time to plant, a time to reap, a time to rejoice and a time to mourn." The Rabbi and staff are always here, especially in times of need. To offer comfort, guidance and bereavement support, assistance in preparation, officiating at the funeral, the Shiva service etc. and financial aid for any aspect of the challenging journey. Please contact us.